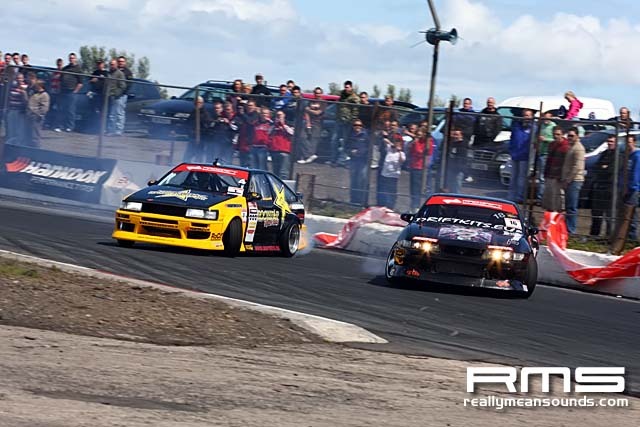 ProDrift Ireland Series once again returned for it’s annual Belfast Bash and what an event it turned out to be with a few locals stirring things up in their first time qualifying in the Pro category. Saturday saw the Semi Pro event with RMS Veteran Richard Bradley aka Fast_Cav taking overall honours which then promoted him into the Sundays Pro event. Today they ran a top 32 format so there was a total of 16 twin battles, Richard Bradley lost out after sudden death to a very sneaky Glen Maher who used braking tactics to throw his following opponent into a panic and probable mistake. Mickey Stock and Damian McBride got through to the top 16 however with Mickey going out against John O’Connell however Damian went onto the final four after great battles all day and took a well deserved final podium spot at the end of it all in third. 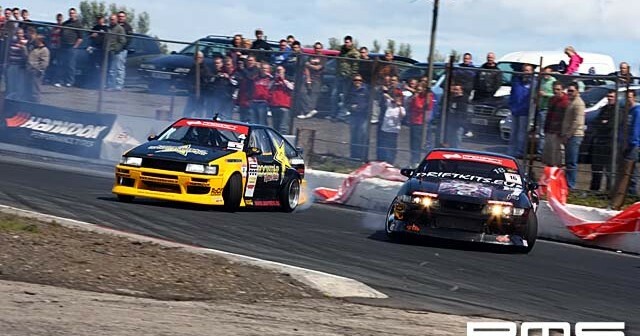 Alan Lenihn, James Deane and Damian Mulvey all surprisingly got knocked out in the first of the top 16 battles leaving the event wide open as these three drivers would be considered within the top 6 in the championship. In the end it was Denis Healy and Eric O’Sullivan both in AE86’s and both fresh from a European round in Sweden that fought it out in the final with Denis making a silly mistake leaving Eric to drive home to a well driven victory!